I got an awesome surprise yesterday when my dad came to pick me up for our Christmas brunch. 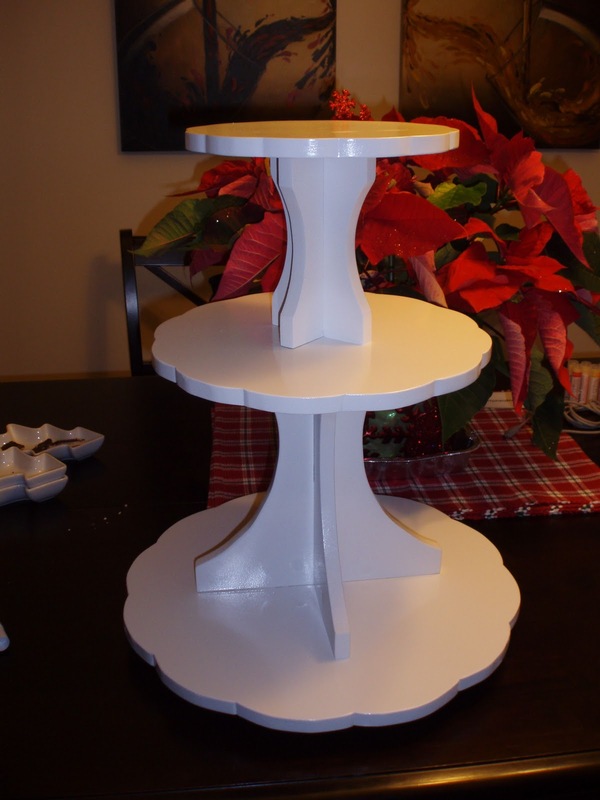 He had made me my own custom cupcake stand! How cool is this?? I cannot wait to make a batch of cupcakes to proudly display on this! And the best part? The stand rotates too! Fancy eh? Oh, it is BEAUTIFUL!! What a wonderful dad! Can't wait to see your cupcakes on this stand, Hailey! How thoughtful! What a perfect gift :) Have a great holiday! Thank you :) I really am spoiled, aren't I? I hope you both have an amazing Christmas!